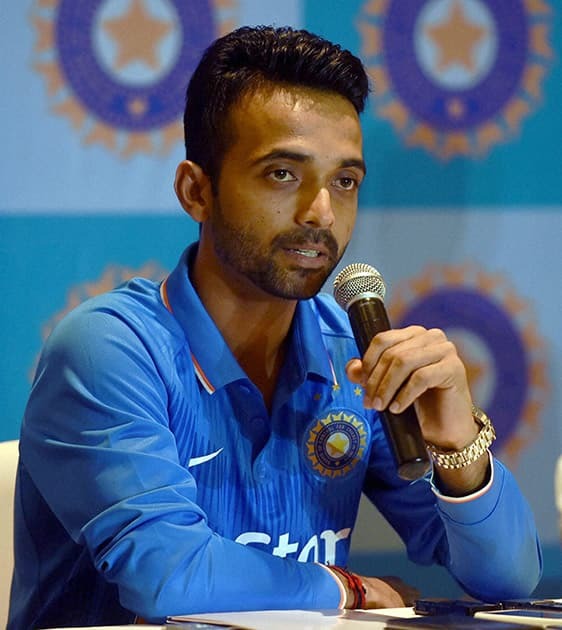 Indian captain Ajinkya Rahane addresses a pre-departure press conference in Mumbai. 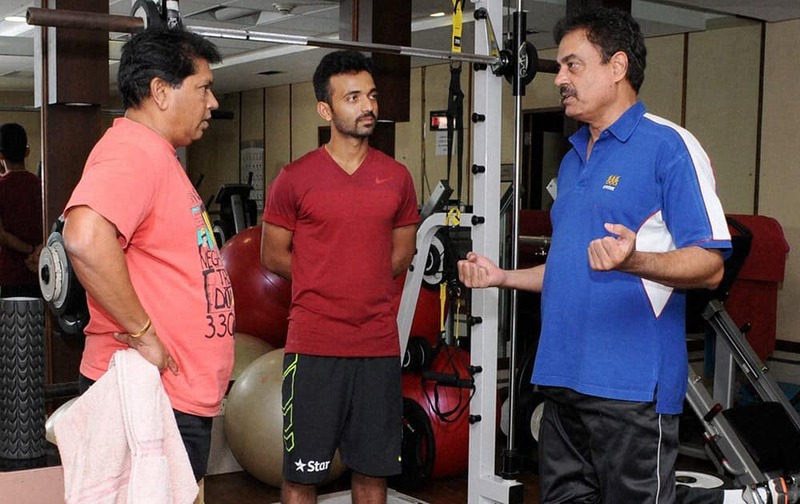 India captain Ajinkya Rahane (C) along with former captain Dilip Vengsarkar (R) and former keeper Chandrant Pandit at BKC in Mumbai, ahead of the Zimbabe tour. 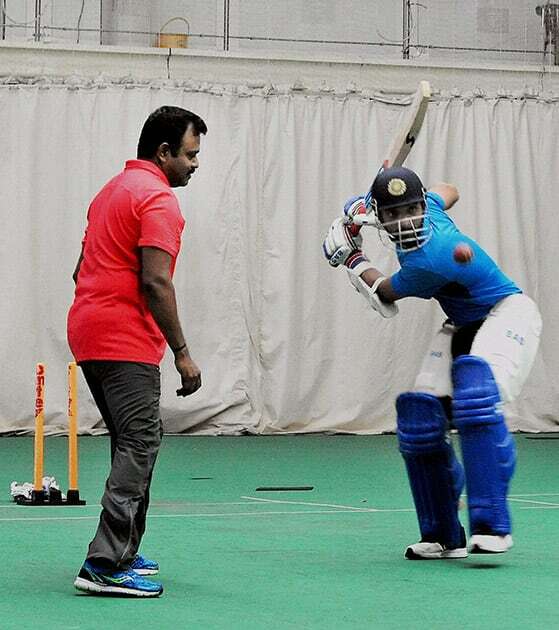 Ajinkya Rahane captain of the Indian cricket team for Zimbabwe tour with former Indian cricketer Pravin Amre during a practice session in Mumbai.